We appreciate you stopping by. We figure you are here to learn more about us, especially seeing as we look as if we are newbies on Trademe. Our family of 7 has a dream to travel and we are at the end of our window of opportunity after trying for 8 1/2 years to pull it all together. As you can imagine transporting, accommodating and feeding 7 people in a new environment, let alone participating in any activities, is bound to be more expensive than staying put in the New Zealand economy. We've saved perhaps a third of what we will need. So in a radical move we are trying to sell whatever we have that might be of value, to raise the funds to get ourselves off the starting block once and for all. It's now or never. To find out even more about us click here. Here is what we are fund-raising for. To see what we write about, read our blog. 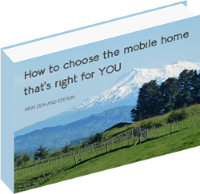 This link takes you back to our Trademe member page. Printed from http://www.stellography.com/tme on 22/04/2019 - 23:06.